Disclamer : This movie clip/music belong to MGM, i do not own it and i won"t earn any money with this clip. С Артуром Парфенчиковым, назначенным Указом Президента временно исполняющим обязанности Главы Республики Карелия. "Artful URKA, po fene botayesh? What is mine is mine, and what is not mine will be mine too. Stay away from it." А.Парфенчиков: Из глубинки, с хутора. 1. Принять отставку Главы Республики Карелия Худилайнена А.П. по собственному желанию. 2. Назначить Парфенчикова Артура Олеговича временно исполняющим обязанности Главы Республики Карелия до вступления в должность лица, избранного Главой Республики Карелия, освободив его от занимаемой должности. The U.S. will not recognize the results of 'an illegitimate referendum,' the Embassy says. 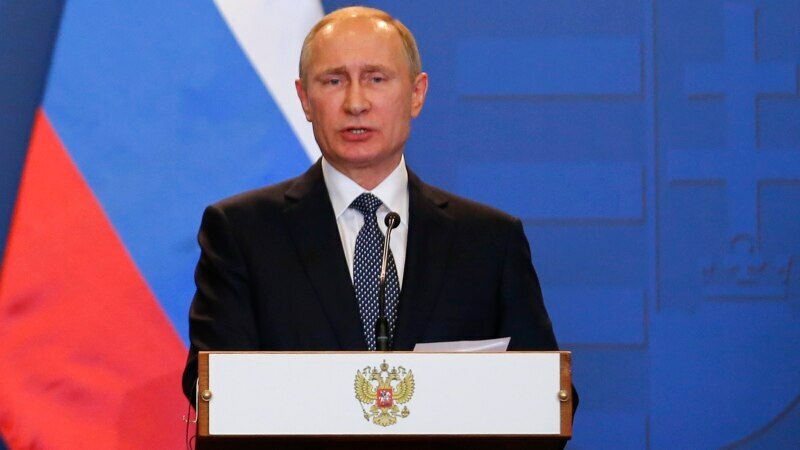 Russian President Vladimir Putin's spokesman says Moscow will not discuss the return of Crimea to Ukraine with the United States or any other country. Dmitry Peskov spoke on February 15, a day after White House spokesman Sean Spicer said that U.S. President Donald Trump has "made it very clear" that he expects Russia to "return Crimea" and reduce violence in eastern Ukraine. The Kremlin spokesman referred to Crimea as Russian territory, saying that "Russia never discusses issues related to its territories with foreign partners, including the United States." Russia seized control of Crimea in March 2014 after sending in troops and staging a referendum denounced as illegal by the United States and a total of 100 countries in the UN General Assembly. Peskov said that Trump did not raise the issue of Crimea in his January 28 telephone conversation with Putin. 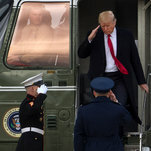 He also dismissed a February 14 report in the New York Times that cited current and former U.S. officials as saying members of Trump's campaign and other associates had contacts with Russian intelligence officials in the months before the November 2016 presidential election, claiming it was "not based on any facts." "Let's not believe anonymous information," Peskov said in a conference call with reporters. The Kremlin spokesman also responded to U.S. media reports that cited U.S. officials as saying that Russia has deployed cruise missiles in violation of the Intermediate-Range Nuclear Forces (INF) Treaty, a 1987 pact between Moscow and Washington. "Russia has been and remains committed to its international commitments, including to the treaty in question," Peskov said. "Nobody has formally accused Russia of violating the treaty," he said. More broadly, Peskov said that it is too early to talk about the "normalization" of ties between Russia and the United States as Trump's administration is still being built. Trump has repeatedly said he hopes relations between the United States and Russia will improve during his administration. Ties have been badly strained by rancor over issues including Russia's interference in Ukraine, its role in the war in Syria, and what U.S. intelligence agencies say was a hacking and propaganda campaign to meddle in the U.S. presidential election with the aim of undermining the United States, discrediting Democratic Party candidate Hillary Clinton, and helping Trump. The governor of Russia's northwestern region of Karelia, Aleksandr Khudilainen, has become the fifth regional leader to step down in recent days. Khudilainen told journalists on February 15 that he had submitted his resignation in order to give a candidate to be proposed by President Vladimir Putin time "to show himself in Karelia" before an election in September. The Kremlin said hours later that Putin accepted Khudilainen's resignation and appointed the director of the federal bailiffs service, Artur Parfyonchikov, as acting governor of the region bordering Finland. Khudilainen's resignation comes a day after the governor of the Ryazan region, Oleg Kovalyov, announced about his resignation. On February 13, the Novgorod region's governor, Sergei Mitin, resigned. Last week, the governors of Buryatia and the Perm Krai, Vyacheslav Nagovitsyn and Viktor Basargin, stepped down. The five governors' resignations are widely believed to have been submitted at the request of the Kremlin, which oversees political processes nationwide. Regional elections in September will be the last before a presidential election due to be held in March 2018. Analysts say the Kremlin is seeking to bolster support and increase control ahead of the presidential vote, in which Putin is widely expected to seek a fourth term. Kremlin spokesman Dmitry Peskov said on February 14 that the resignations were part of "a routine rotation process" and called on journalists not to seek hidden motives. Russian national operator Rostelecom has started connecting customers to its PON network in the town of Pryazha in the Republic of Karelia. Areas ceded by Finland to the Soviet Union. 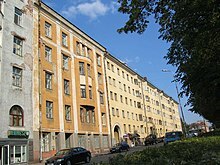 was returned to Finland in 1956. The Karelian question or Karelian issue (Finnish: Karjala-kysymys) is a dispute in Finnish politics over whether or not to try to regain sovereignty over Finnish Karelia and other territories ceded to the Soviet Union in the Winter War and the Continuation War. Despite the name "Karelian question", the term may refer also to the return of Petsamo, ceded parts of Salla and Kuusamo, and four islands in the Gulf of Finland. Sometimes the phrase "debate on the return of the ceded territories" is used. The Karelian question remains a matter of public debate rather than a political issue. The Karelian question arose when Finland was forced to cede territories to the Soviet Union after the Winter War in the Moscow peace treaty in 1940. Most Finnish citizens were evacuated from the ceded areas. Most of them returned during the Continuation War and eventually were evacuated again in 1944. The Soviet Union insisted the ceded areas be completely evacuated in 10 days. The evacuees were partly compensated for their losses; farmers, for example, received land in proportion to their earlier holdings. Usually, the compensation was about one third of the original farm. Compensation for movable property was much less. However, all evacuee families had a right to receive a small farm, and/or a plot for a detached house or a flat. The land used for these grants was confiscated by the state from municipalities and private owners. Financial compensation was funded by a general property tax of 10 to 30%, levied over a period of several years. Because the vast majority of the evacuees who had to settle in the rest of Finland were from ceded Karelia, the question was labeled The Karelian Question. After the Winter War, Karelian municipalities and parishes established Karjalan Liitto (the Karelian Association) to defend the rights of Karelians in Finland. moving towards Western Finland during winter 1940. During the Cold War, the Karelian-born Finnish politician Johannes Virolainen lobbied for the return of Karelia. President Urho Kekkonen also tried to reacquire the territory, especially when the Soviet Union returned the peninsula of Porkkala to Finland in 1956. There was, however, no significant public controversy about the case, because Kekkonen wanted to keep it quiet. The last time Kekkonen tried to raise it was in 1972, but he had no success, and public discussion died out in the 1970s. After the breakup of the Soviet Union, the Karelian question re-surfaced. According to an article by the Finnish newspaper Helsingin Sanomat in August 2007, the Russian president Boris Yeltsin unofficially offered to sell ceded Karelia to Finland in 1991 but was declined. However, according to many Finnish political leaders and the Russian vice Prime Minister of the time, there were no such offers, only unofficial probing of the idea. Andrei Fyodorov, an advisor of Boris Yeltsin, told the Helsingin Sanomat that he was part of a group that was tasked by the government of Russia in 1991–1992 with calculating the price of returning Karelia to Finland. This price was set at 15 billion US dollars. According to Fyodorov, Finnish president Mauno Koivisto and Finnish foreign minister Paavo Väyrynen were aware of these unofficial discussions. Karjalan Liitto is an interest group of Karelian evacuees which hopes that Karelia will once again become part of Finland at some point, but does not openly demand it. Some smaller groups, such as ProKarelia, continue to campaign for the peaceful return of Karelia. However, no serious political party has openly supported this goal, and Finnish politicians generally say there is no need for it, citing Finland's peace treaty with Russia. There are some individual politicians who support the return of Karelia, such as MEP Ari Vatanen, and two candidates in the presidential election of 2006: Timo Soini and Arto Lahti. Other candidates have stated that Finland has signed a peace treaty and should not campaign for the return of what are now Russian-developed territories. During a debate prior to the 2012 presidential election Timo Soini reiterated his view that, if elected, he would advance the issue. Both Russia and Finland have repeatedly stated that no open territorial dispute exists between the two countries. Finland's official stance is that the borders may be changed through peaceful negotiations, although there is currently no need to hold open talks, as Russia has shown no intention of returning the ceded areas, or discussing the question. In 1994 Boris Yeltsin commented that "seizure of Finnish Karelia" was an example of Stalin's totalitarian and aggressive politics. Later in 1997 he stated that the matter was closed. In 2000 President Putin stated that such discussions may endanger Finnish–Russian relations, and in 2001 he said that "changing borders is not the best way to resolve problems", but that possible solutions would be "integration and cooperation". In 1998 Finnish President Martti Ahtisaari said that "Finland's official position is that it does not have territorial demands on Russia. However, if Russia wants to discuss returning the ceded areas, Finland is ready for that." Several other politicians holding government office, such as the former foreign minister Erkki Tuomioja and prime minister Matti Vanhanen, have made statements along the same lines. The latest polls show that approximately 26% to 38% of Finns would like to see Karelia return to Finnish control and some 51% to 62% would oppose such a move. In Russia, people associate the word "Karelia" with the Republic of Karelia instead of Finnish Karelia, which makes conducting polls more difficult. In a 1999 poll by MTV3, 34% of the people of Vyborg supported returning Karelia to Finland and 57% were opposed. Vyborg and the rest of the ceded Karelia outside the Republic of Karelia nowadays contain very few ethnic Finns, and is almost exclusively inhabited by people who moved there during the Soviet era and their descendants. In the latest poll in Finland about the question, 36 percent of Finns supported the return of ceded territories, compared to 51% who are opposed. The poll was conducted by the newspaper Karjala and the research institute MC-Info Oy on 13 October 2005. In August 2005, a poll by Helsingin Sanomat and Suomen Gallup, determined that 30% of Finns supported and 62% opposed the return. In a poll by Taloustutkimus and Karjalan Liitto conducted in May 2005, support was 26% while 58% were opposed. A year earlier, a poll by STT showed 38% supporting and 57% opposing. A poll by Taloustutkimus was criticized by ProKarelia for asking leading questions, such as, "Do you support the return of Karelia, even if it would mean more tense relations or even war with Russia?" 5% of supporters and of those who declined to respond supported the return even under these circumstances (2.1% of all replies). Many of the people who were born in Karelia and were evacuated want Karelia to become part of Finland. According to polls, older people (ages 65 and up) and young people (15-25) support the idea more strongly than the generation of their parents (25–65) who grew up during the Cold War. Former President Mauno Koivisto has been against a discussion about the question. Support for regaining the ceded areas is also strong among minor nationalist right-wing groups. One of the main reasons for opposing the return is the fear of the costs it would bring. According to another poll conducted by Helsingin Sanomat, 42% of Finns opposing the return list that as the most important single reason. The standard of living on the Russian side of the border is much lower than on the Finnish side. The GDP (PPP) per capita in Finland is about double that of Russia. The costs of bringing Karelia to the same level with the rest of Finland have been researched only by supporters of the idea. According to a survey conducted by ProKarelia, the area has natural advantages that, under Finnish rule, would make it a centre of trade with Russia and industry and thus bring economic growth fast enough to solve the entire problem. According to both ProKarelian research and Arto Lahti's estimate, the price of return would be about 30 billion euro. The area is inhabited mostly by people who moved there from Ukraine, Belarus and Russia, and their descendants. The fate of these people is a major issue in discussions of the return of Karelia to Finland. According to the poll by Helsingin Sanomat, 14% of people opposing return consider its greatest flaw the tensions that would be caused by a Russian-speaking minority being formed in Finland. In 2004, there were about 370,000 Russians living in the region. If the inhabitants were allowed to stay in their homes, Finland would receive a few hundred thousand new Russian-speaking people with no experience of living in Finnish society. If services for them in their own language were to be provided, Finland would need many more officials capable of speaking Russian. In ProKarelia's vision, nearly half of the Russian population in Karelia would expel to Russia, and even more would leave if Finland paid their expenses for doing so. However most of the Russian speaking population of Karelia were born there, have spent all their life in the region and consider it as their legal land. Karelia (Finnish: Karjala) is a historical province of Finland which Finland partly ceded to Russia after the Winter War of 1939–40. The Finnish Karelians include the present-day inhabitants of North and South Karelia and the still-surviving evacuees from the ceded territories. Present Finnish Karelia has 315,000 inhabitants. The more than 400,000 evacuees from the ceded territories were re-settled in various parts of Finland. Finnish Karelia was historically under western dominance, religiously and politically and was separate from East Karelia, which was dominated by Novgorod and its successor states from the middle ages onwards. The Trump administration’s hiring freeze has left key military support positions vacant and could eventually harm U.S. readiness in South Korea, a commander said Wednesday. What's the capital of Israel? Israelis say it's Jerusalem, and indeed the prime minister's office is there, as well as the parliament, the highest court and most government ministries. No other country, however, recognizes Israeli sovereignty in Jerusalem.